A is for abundance, meaning a large quantity of something. My life is filled with abundance. I have been blessed to have taught school for my career, something I always dreamed of doing. In my second career, I am abundantly pleased to not only be an author, but to be a publisher for first time authors. The amount of followers I have for my books gives me great pleasure and the repeat buyers for subsequent books tells, me I am doing something right. I have been blessed with an abundant number of friends. Those near whom I can count on and those far whom I miss, but stay in touch with. My life would be remarkably different if it were not for the abundance I have been blessed with. For those who are a part of my life, I cannot do it without you. For those who are strangers, I hope we meet. 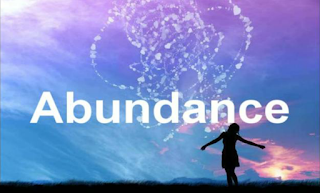 What is abundant in your life? Being blessed with abundance as well as contentment is wonderful. Thank you, Ann, for visiting. I'll drop by your blog.